Ready to knit 2 socks at 1 time on one long circular needle? 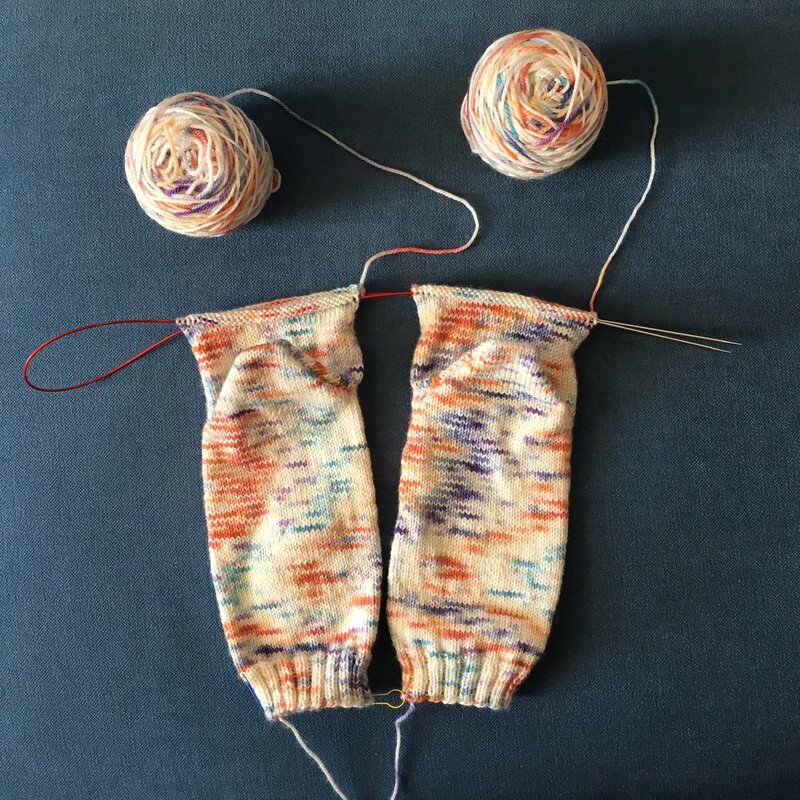 Join us for this 3 session 2 at a time sock class! You should be very comfortable casting on, knitting and purling. This is NOT a beginner class. You should have knit a sock before. It is helpful to know basic sock construction. We will be using Magic Loop technique. Pattern will be given at class.